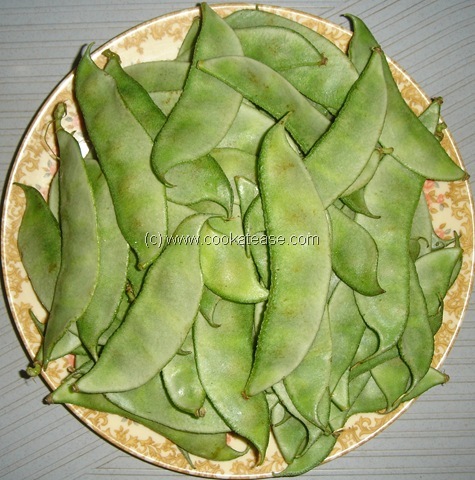 Broad Beans is known as Avarai in Tamil Nadu and is a commonly used vegetable in south India. 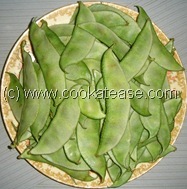 Broad Beans is rich in fibre. Broad Beans is used to prepare Sambar, different Poriyals (dry, without gravy), Avial, Kootu. 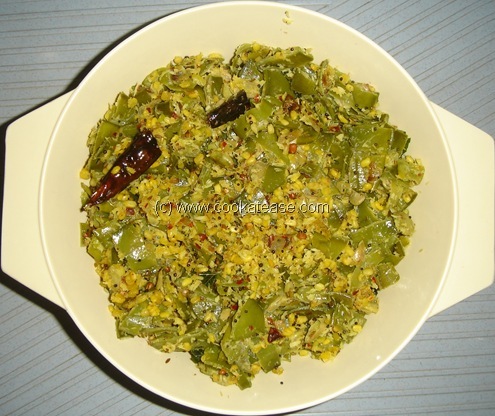 Here I have prepared Broad Beans Poriyal. 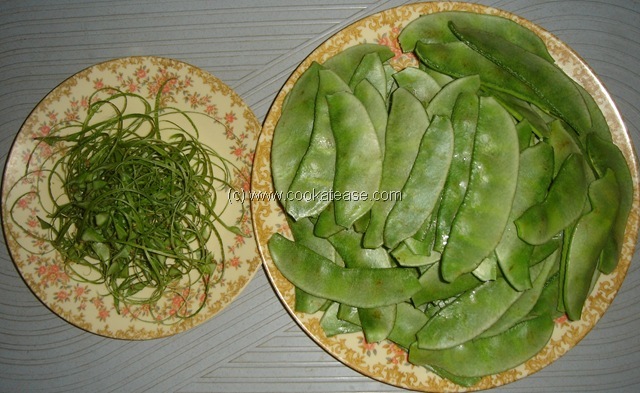 Clean and chop broad beans finely and soak the green gram for 15 minutes (see the photograph below that shows how to prepare broad beans before chopping). Dry grind the items given for grinding in a mixer. Heat a pan,add oil; do the seasoning; let it splutter well. 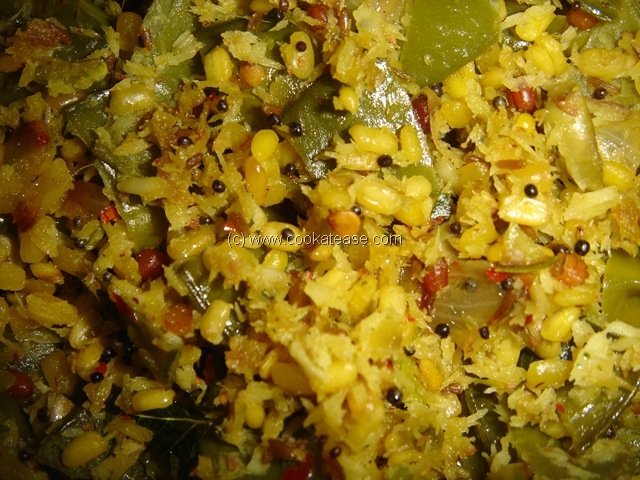 Add chopped onions, fry till it turns to golden colour; add salt, chopped beans and soaked green gram. Splash handful of water; cover and cook till beans are soft and done. Add dry ground powder, mix well and cook for 1 more minute. 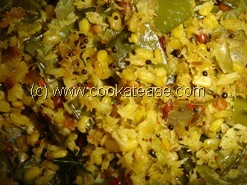 Serve hot with Rice, Chappati, Paratha along with Sambar or Dal. 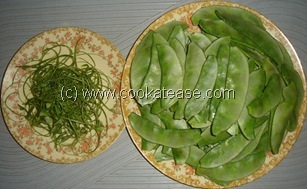 Preparing Broad Beans has to be done carefully before chopping to remove waste. 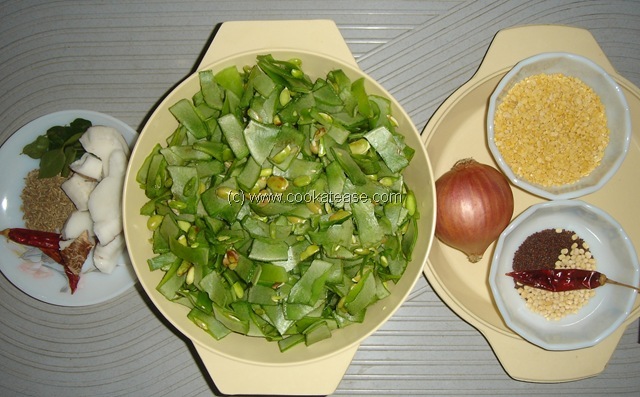 Next post: How to Sprout (Mulaitha Payaru) Green Gram ?